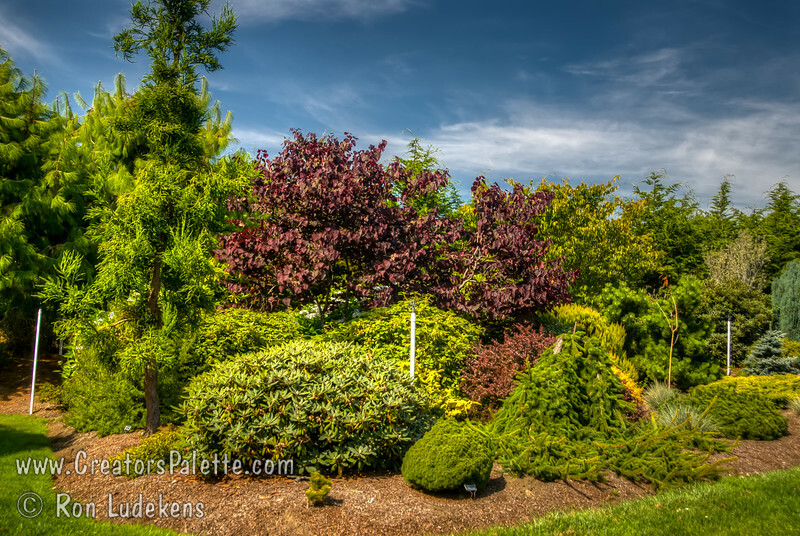 These photo galleries have been provided to allow Nurseries and other plant enthusiasts to obtain quality photos for your websites and printed publications. Only you know the look and feel you want to obtain, so it is best that you select the photos that work best for your application as opposed to a L.E. Cooke Co staff person choosing for you. Select the photo, click on “Buy Photos” then select “Downloads”. There is a nominal cost for the file to support this website. Brilliant scarlet red new foliage matures to a deep maroon. In warmer areas leaves change to green after spring passes. Clusters of bright pink blossoms appear before leaves. Slow growing, round shape to 20 ft. by 25 ft. Cold hardy to USDA Zone 5.